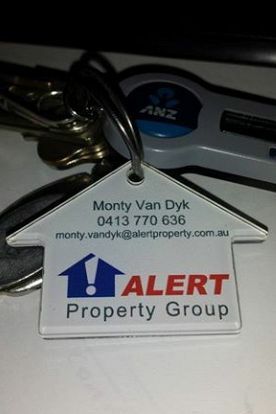 Alert Property Group support their agents in getting the message out there. The latest addition to the agent promotion kit is the Key Tags. Laser cut and digitally printed, these are great promotion items for the proactive agent. Agents you can order this via our online store.